You and your family round the piano of an evening? Here are some unusual pianos. These are not 'production' pianos manufactured for routine distribution and sale. They are mostly one-offs; fascinating artisan work by individuals. This is light-hearted but respectful look at some of them. Did you deplore the tendency in the 1960s and 1970s for upright pianos to get ever shorter? 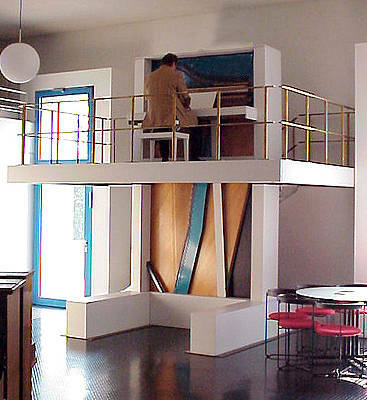 Are you glad that the trend now is for taller upright pianos? Perhaps even the tallest of ordinary upright pianos isn’t quite tall enough for you however? Maybe what you need is a piano that's twelve feet one inch tall, which you must climb upstairs to a platform to play? You need the Klavins Model 370! See and hear this remarkable instrument here and in the YouTube video below. Mr Klavins has now completed an even larger piano, the amazing Klavins 450i, which is currently (March 2018) in the final stages of preparation and commissioning. Another video blow, and you can see a little more of this piano and hear a short clip at this BBC News page. Perhaps you don’t care for more pedals, but you’d like more keys? Maybe it’s not the number of keys that bothers you, but the design of the keyboard? A Janko keyboard could be the answer for you! There was even a reversible keyboard version which had a normal keyboard on one side and a Janko on the other. Interesting though the Janko keyboard is, fine pianists seem to manage well enough with the conventional keyboard. Listen to the same piece, Kitten On The Keys by Zez Confrey, played superbly by Alan Feinberg. This short extract is from a CD called "Fascinatin' Rhythm", one of three by Feinberg on the Argo label (ARGO 444 457-2). Buy this, folks, if you can find it! The ARGO label,owned by DECCA, a subsidiary of Universal Music, has re-surfaced offering online downloads, and hopefully they will add this to the online catalogue. If it’s not the keys as such, but the number of tones, that you find inadequate, a Quarter Tone Piano might suit you. In his fascinating, entertaining, and warmhearted Memoirs, Earl Wild, one of the greatest piano masters of all time, refers to a Quarter Tone piano owned by a friend. You can see what one looked like here (though the amazing quarter-tone keyboard music of Scott Crothers here is not being played on this particular instrument). Or is it that you don't like the constraint of fixed tones at all? Your answer could be the unique Fluid Piano. Make your own pitches! If you're allergic to cats, maybe getting the dogs to play for you will give you the motivation you need. The pitch recognition here is extraordinary! Why settle for the pianormal folks? Don't be pianordinary ! Get youself one of the pianamazing instruments featured above! 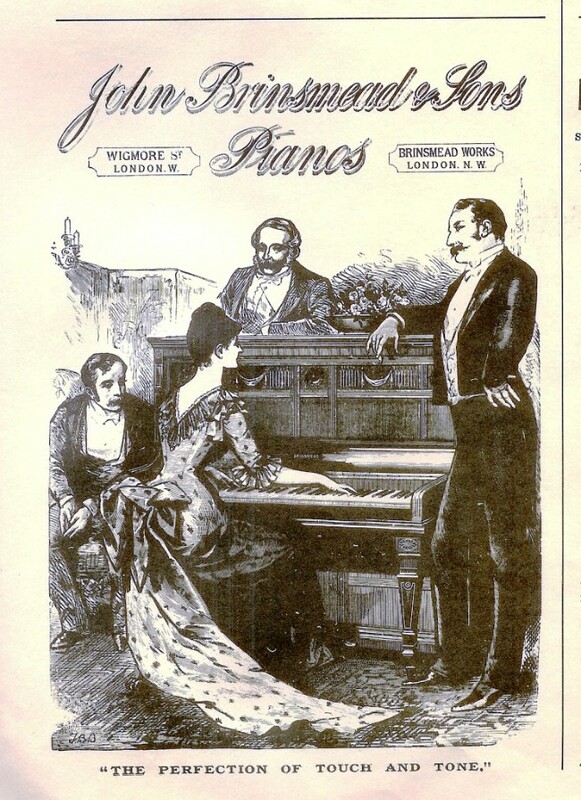 Joking apart, although I have called this page Pianoddities, most of the developments featured above, represent the thoughtful endeavours of dedicated individuals with a keen interest in exploring and expanding the potential of the piano. Respect! (And total respect for Adam Fulara's astonishing Bach, above). For those wanting to know about more regular pianos, the largest production grand pianos currently available as far as I know are the Bosendorfer Imperial Concert Grand, the Fazioli 308 Concert Grand and the Stuart & Sons Concert Grand. It's debatable whether these should really be called production pianos; they are decidedly craft instruments made in small numbers.